Mary L. Gautier is a senior research associate at CARA. She has a Ph.D. in sociology from Louisiana State University. 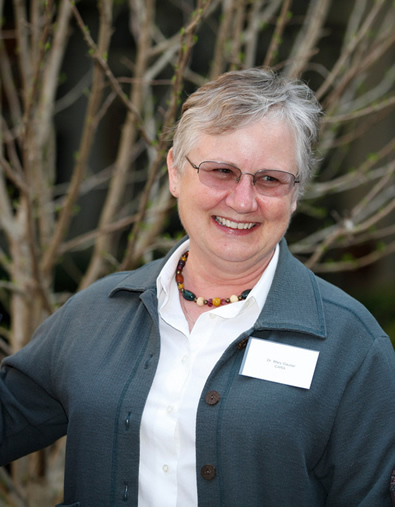 Before coming to CARA in 1998, Mary taught sociology at Louisiana State University and at Texas Christian University and served as a lay pastoral associate at St. George Parish in Baton Rouge, Louisiana for six years. At CARA, Mary specializes in Catholic demographic trends in the United States, manages CARA databases on Church information, and conducts demographic projects and computer-aided mapping. She also edits The CARA Report, a quarterly research publication, and other CARA publications. She is co-author of Catholicism USA (2000), Global Catholicism (2003), American Catholics Today: New Realities of Their Faith and Their Church (2007), Best Practices of Catholic Pastoral and Finance Councils (2010), Same Call, Different Men: The Evolution of the Priesthood Since Vatican II (2012), American Catholics in Transition (2013), New Generations of Catholic Sisters (2014), and Bridging the Gap: The Opportunities and Challenges of International Priests Ministering in the United States (2014).